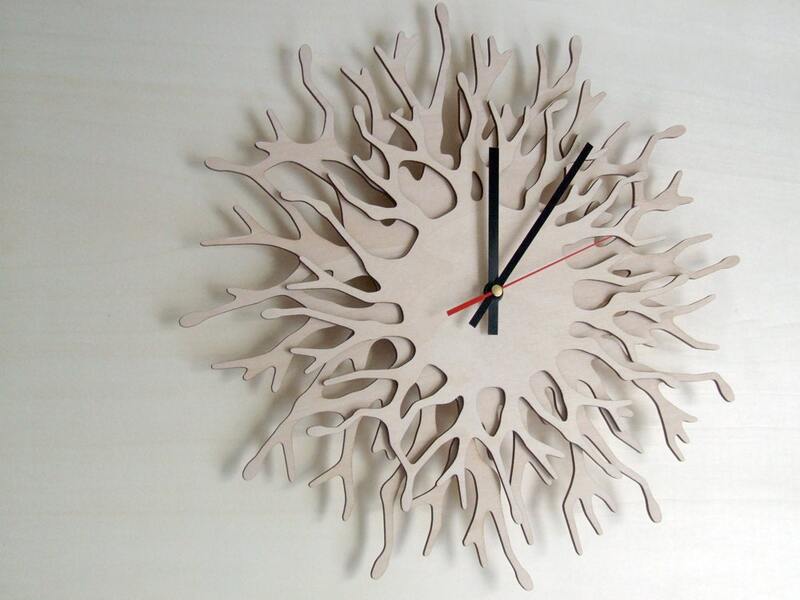 This listing is for a large wooden wall clock, with the shape of natural branches. 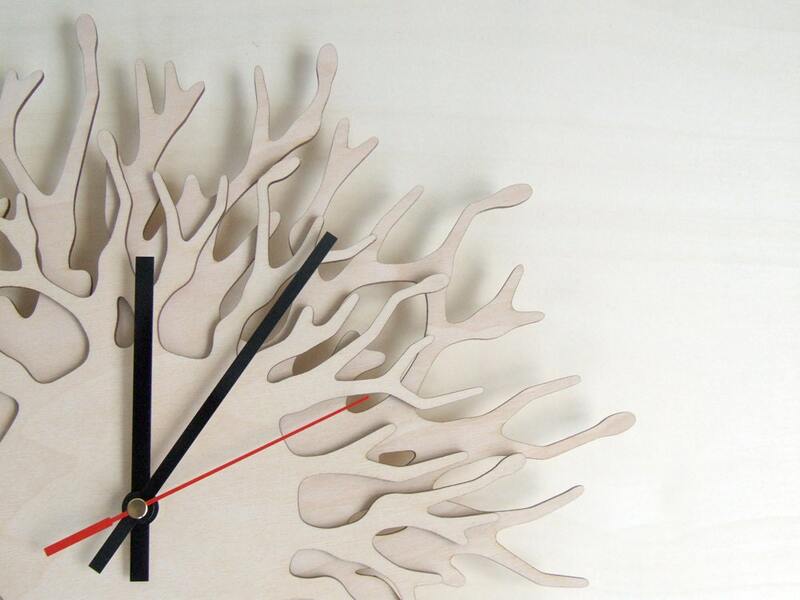 Is it coral? 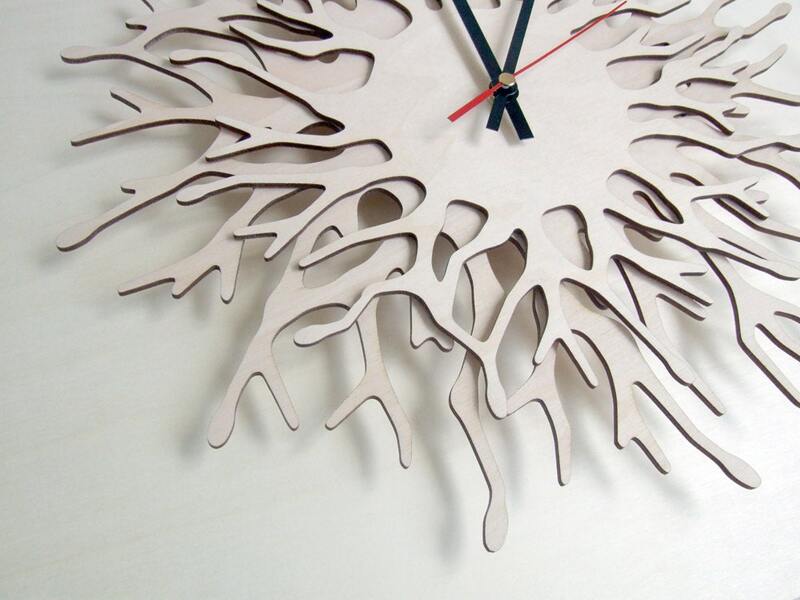 Or is it a tree branch? 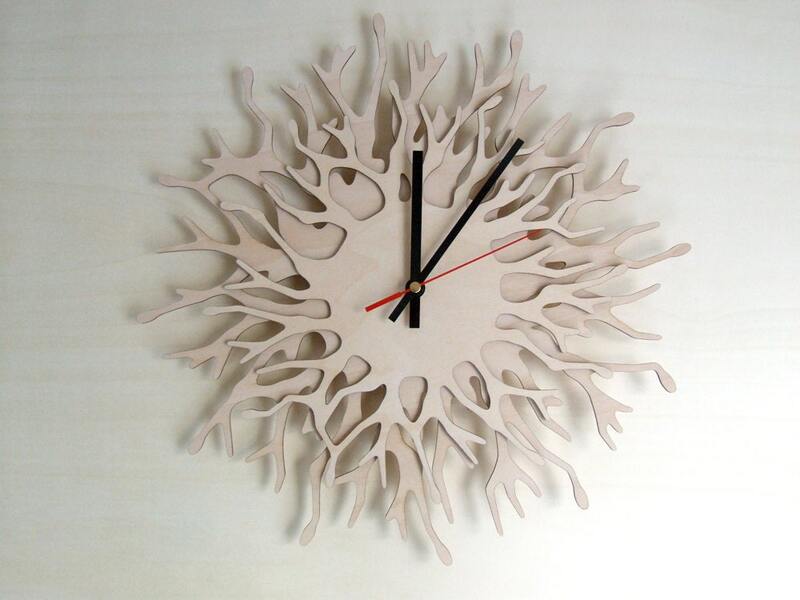 Natural growth processes have been an inspiration for the shape of this clock. At the place of every hour, there is a tiny bulb, indicating the time. The side of the wood is black, resulting in beautiful depth and contrast.